Sendible’s sentiment analyzer is great, but there are times when it gets it wrong. 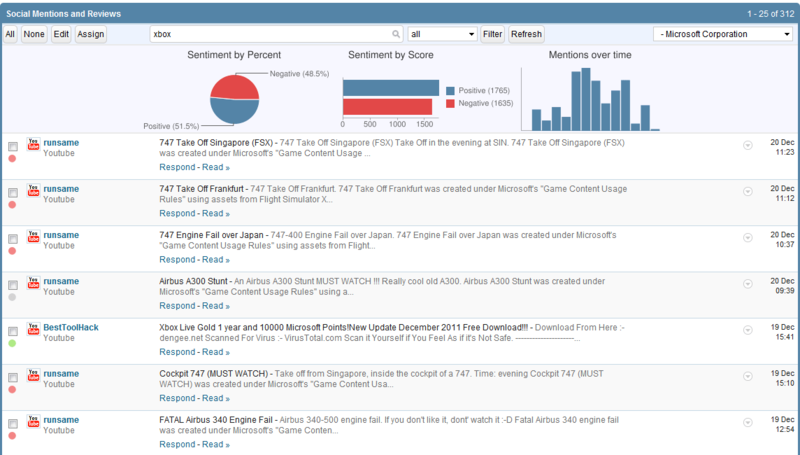 You now have the ability to edit the sentiment score for a given mention. We understand that some mentions may be irrelevant and we’ve introduced the ability to mark posts as irrelevant so that they do not appear in your reports and mention results. Creating Google Alerts for your business or keywords is a great way to keep updated whenever Google’s crawlers come across a mention of your brand. You now have the ability to add your Google Alerts feed into Sendible so that Sendible is also notified whenever Google comes across a mention of your business. We have been extending our mention crawler to include mentions of your business from new sites such as Google+ and GetSatisfaction. If you have any suggestions for other sites you’d like to see crawled, please leave them in the comments below or send us an email. We have added a search box so that you can now search your mentions streams.